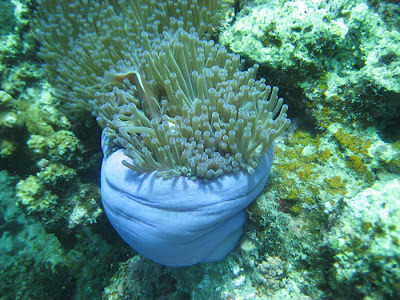 Today we were diving again! Back in the water and off to Koh Tao for some Specialty Instructor training dives. 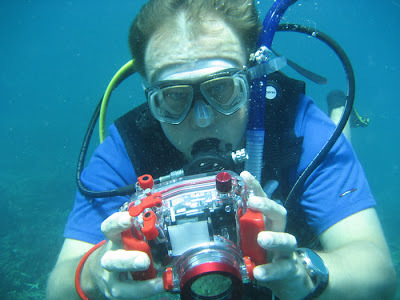 Yesterday we tackled the Underwater Navigation Instructor Specialty on Chaweng Beach and today a mixture of Multilevel, Underwater Naturalist and Digital Underwater Photography (aka DUP) was on the schedule. 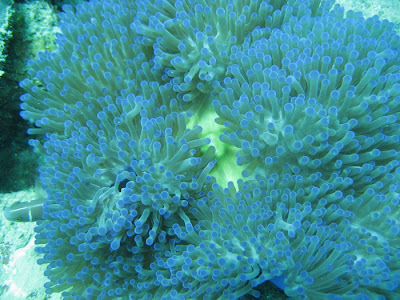 Later on this week the Deep and the Night dive Instructor Specialties will be on the agenda. Jamie concentrating on his underwater camera during the DUP dive. 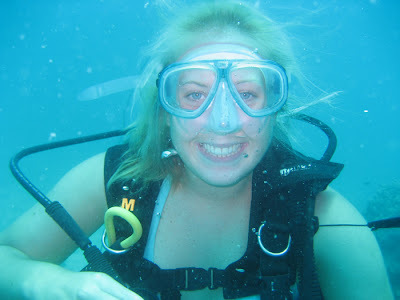 Laura smiling away during her Naturalist dive. 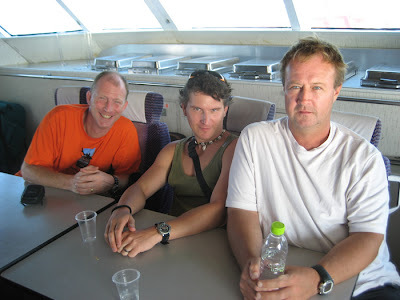 Myself, Bas and Jamie on the way back to Samui, after a good day of diving. 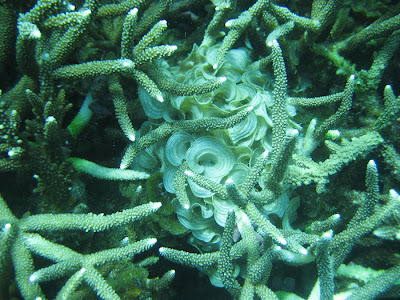 Especially the second dive, at the Light House on Koh Tao, was a very beautiful dive with amazing coral gardens.